Leopoldo Ferreira de Oliveira Bernardi has a degree in Biological Sciences Education from the Federal University of Minas Gerais, and Doctor in Applied Ecology at the Federal University of Lavras. He has experience in the areas of ecology and taxonomy. Currently his main research subject is taxonomy and ecology of mites associated with subterraneans cavities and karst areas, with emphasis on the order Opilioacarida (Parasitiformes). Marcus Paulo Alves de Oliveira is a Biologist from the Federal University of Lavras. 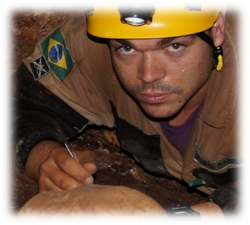 He has experience in invertebrate studies in subterranean systems of various lithologies, as a consultant and researcher. Is currently a Master’s student in Applied Ecology at the Federal University of Lavras. 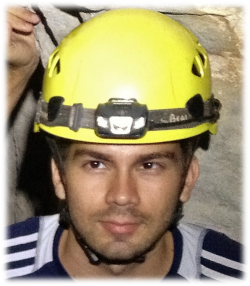 He has participated in bio-speleological inventories in principal iron ore areas in in the country, having extensive knowledge of the fauna associated with these environments. Also has experience working with cave invertebrate behavior. Lucas Mendes Rabelo is licensed and a BS in Biological Sciences from the Catholic University of Minas Gerais (2010) and master in Apllied Ecology from the Federal University of Lavras (2015). 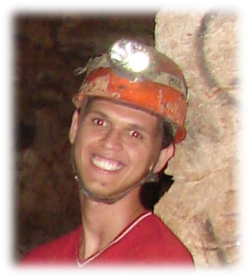 He works with caves since 2008, when he began to participate in projects of exploration and mapping of natural cavities. Is currently in the Doctor's Program Graduate in Applied Ecology, Federal University of Lavras (UFLA), running a project on the definition of priority areas for conservation in Minas Gerais state, Brazil. Gabrielle Pacheco is a biologist from the Federal University of Lavras. She is currently a master degree student in Applied Ecology in the same University. Her dissertation project concerns the ecology and conservation of cave invertebrates from Guatemala. Vanessa Mendes Martins holds a Bachelor’s degree in Biological Sciences (2010) by the Centro Universitário do Leste de Minas Gerais (UNILESTE-MG) and has experience in environmental education. 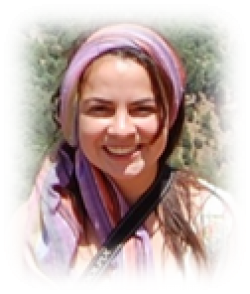 She is currently a master student in Applied Ecology at the Federal University of Lavras (UFLA). Her project is foccused in the ecology of cave benthic invertebrates. Rodrigo Antônio Castro Souza is a biologist from the Federal University of Lavras. He is currently a master degree student in Applied Ecology in the same University. 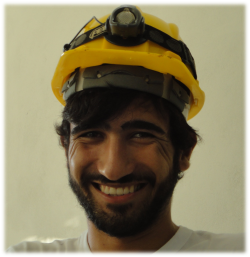 His dissertation project concerns the ecology, behavior, bioacoustics and taxonomy of Endecous crickets from caves of the Pains region, Minas Gerais. Federal University of Lavras (UFLA). 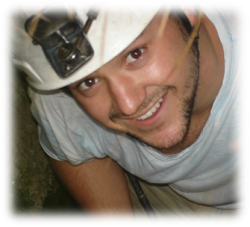 Currently he works with the survey of the arthopodofauna associated to the MSS in karstic environments. Roberta Fernanda Ventura Cerqueira is a biologist from the Federal University of the Jequitinhonha and Mucuri Valleys (UFVJM). She has experience in ecology and systematics of sand flies. She is currently doing her master's degree in the Program in Ecology from the Federal University of São João del-Rei (UFSJ). Luana Cristina Lourenço Guimarães is a graduate student in Biological Sciences at the Federal University of Lavras. 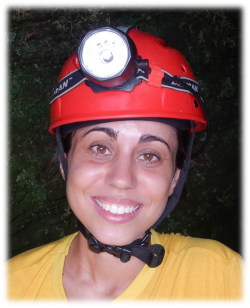 She is currently studying bat communities in caves in the region of Arcos, Pains and Doresópolis (MG). Laís Furtado Oliveira Is an undergraduate student in Biological Sciences from the Federal University of Lavras (UFLA). She develops in her project, studies on taxonomy of harvestman. She is currently describing a troglobitic species of the genus Paratricommatus (Cryptogeobiidae). 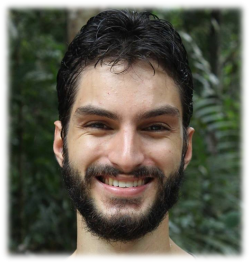 Augusto Milagres e Gomes is a biologist, graduated from the Federal University of Minas Gerais (2014), and currently holds a master's degree in Ecology, Conservation and Wildlife Management at the same institution. Since 2011, it has been working on issues related to ecology and conservation of bats and cave ecosystems. He also works with scientific dissemination, using photography, in order to enhance, disseminate and popularize Brazilian biodiversity and ecosystems.